One of our favorite things about vintage shopping is the idea that each item we hand-pick has its own history. Each item has lived a previous life -- or two, or three -- meaning these articles of clothing are more than just pieces to be shoved in already-full closets. They're artifacts of days gone by -- of leisure and work, good times and bad. Their stories intrigue us, and sometimes, those stories just really ought to be shared. We found this gem of a jacket -- a Sears Roebuck & Co. wool Field Master -- hanging forgotten in a 100-year-old woman's attic. The jacket was heavy, adding plenty of pressure to the old wire hanger that had accompanied it for decades. We were initially drawn to this piece's classic red and black plaid, seeing as how it's one of those timeless patterns that just never seems to go out of style. 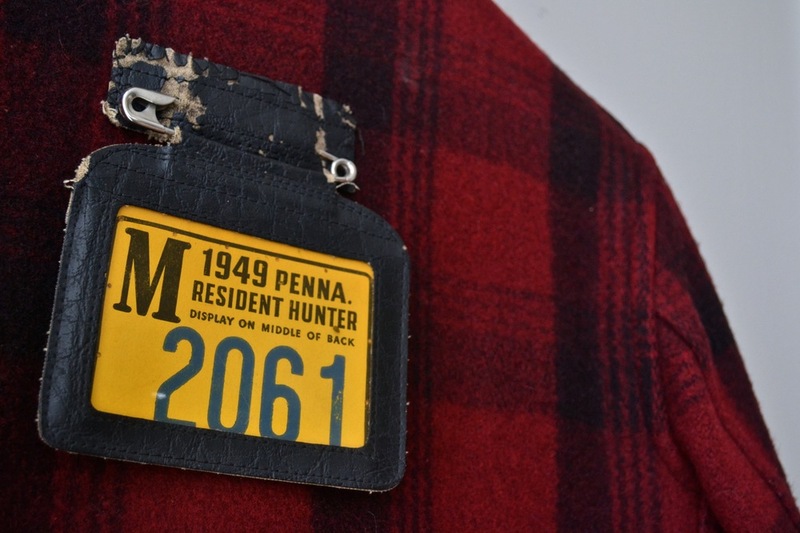 We also loved the 1949 hunting tag, which is attached to the coat with the largest safety pin we've ever seen. And yet these obvious perks aside, it wasn't until we got it back to the store and took the piece to be dry cleaned that we started uncovering all its little secrets. If there's one thing we've learned during our years of vintage digging, it's to always check the pockets, especially before cleaning. Usually all we find is a crumpled used tissue or an old Werther's Original wrapper, but with this jacket, we were much luckier. 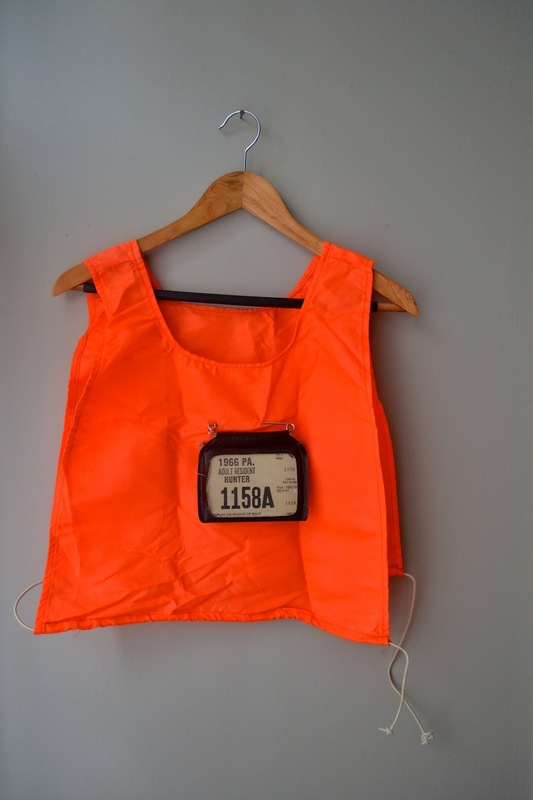 In one pocket, we found a fluorescent orange vest complete with a 1966 hunting tag. Cool, and kind of to be expected. But then we noticed that there were a bunch of papers stuffed in the tag's plastic sleeve, including the owner's signed archery license -- dated September 30th, 1966. W.R. Burns, Jr. of Camp Hill, Pennsylvania spent a whopping $2 on this license, which costs $16.70 today. Tucked behind the archery license was a list entitled Suggested Do's and Don'ts for Bow and Arrow Hunters to Improve Public Relations and the Bow Hunters' Image, which is basically like the coolest thing ever. "DON'T carry a strung bow and go through the actions of hunting before or after hunting" but "DO keep your arrows in a shielded quiver at all times." In another pocket, we found two old hunting and trapping digests, as printed by the Pennsylvania Game Commission for the '64 to '65 and the '66 to '67 hunting seasons. Not only is the artwork great on these -- we'll take a line sketch of a prancing deer any day -- but there's also just something so endearing about vintage ephemera. We thought we were done, but then we dug in the back pocket, which is accessible from both the right and the left sides of the jacket and stretches along the entire length of the back hem. 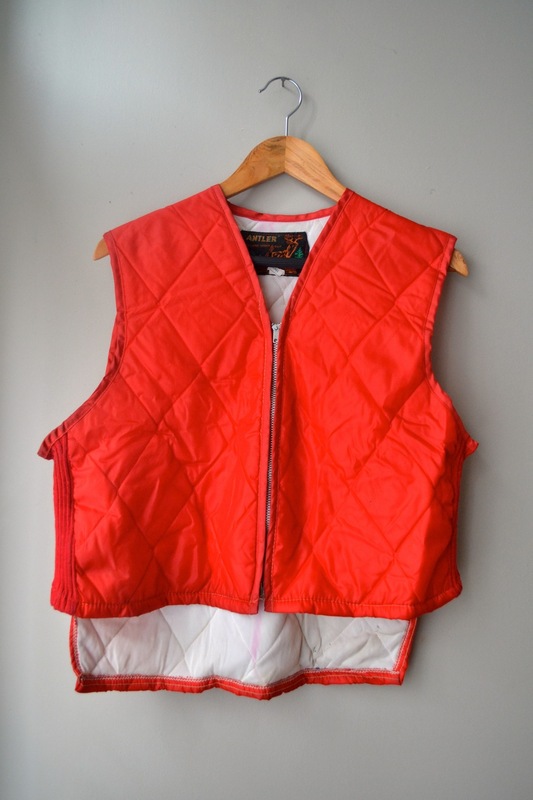 There we found yet another bright vest. 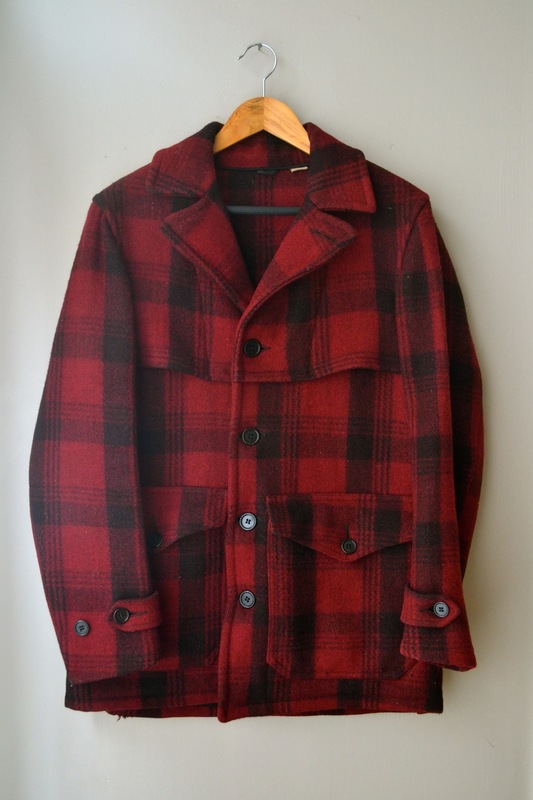 This time it was a red insulated "under suit" by the brand Antler; its purpose is to add another layer of warmth under the already-thick wool jacket. That addition probably comes in handy during a 4 a.m. trip to the tree stand during deer season. As we continued to uncover Mr. Burns' treasures, we knew we'd be doing him a grave disservice by splitting up his gear. We know this jacket may never find itself back in the Pennsylvania woods, keeping its owner snuggly warm as he or she searches for the next target. It may stay here in Harrisburg, ship on off to Idaho or -- who knows -- fly across the seas to a land far, far away. But regardless, Mr. Burns' memories will travel right along with it. The set is available at our North Street store. It's marked as a medium and is $65.